The Nifty Thrifty Lady: A new Way to Save at Target! Well, It would just so happen that I now have to add two more ways to save to last weeks 7 Ways to Save at Target! So #8 is signing up for Target's new email. You will be notified with new arrivals, promos, and exclusive offers! Wow! 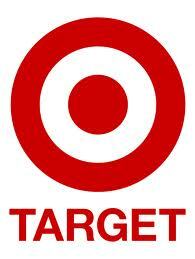 Target is one of the leading company in offering such a Variety of ways to save money. Which store would you like to learn how to save at next?